Comment: Our bedroom is on the top floor of a 3 story home. There is attic access in our room, and it is starting to get much hotter as the year goes on. Last summer we had our AC ducts sealed, as we were told that would send more air to our room. That's not the case- current room temp is 76. Basement is 65. Hoping to get some insulation in to cool things off before it gets too hot! Comment: 22' by 16' addition and need to redo the insulation in the crawl space. Rockville Insulation Contractors are rated 4.58 out of 5 based on 409 reviews of 11 pros. 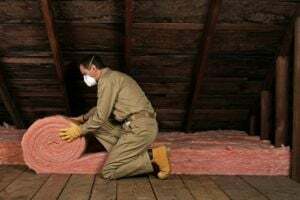 Not Looking for Insulation Contractors in Rockville, MD?